When Phil and Amity Dry were approached about a new home renovation show in 2003 they were newlyweds focused on building their respective careers. For Amity that was working as a singer and songwriter, while Phil was at the helm of a marketing agency. They thought it sounded like fun to be on the show, The Block, which ultimately ended up being a huge hit. Ten years later after building a family and a life in Adelaide, the couple was again approach for a TV home renovation project, The Block All Stars series. They ultimately won that season, and since then they started looking for their own personal renovation project, which would be their first for a home they were going to live in. They embarked on a project of redesigning their family home, and they started a blog about it, DoingOurBlock.com. 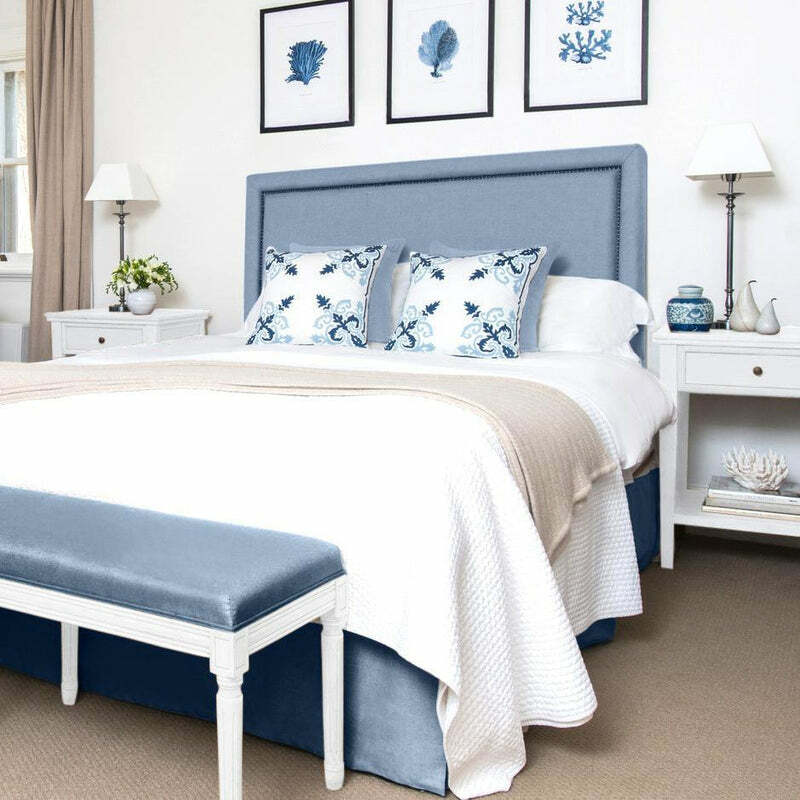 On their blog, they share images and stories of their unique renovation, which captures the relaxed elegance they love of Hamptons style, including the use of timeless colour palettes, and uniquely American details such as the wall sconces they had imported from the U.S. to put in their bedroom. 1. As the winners of the very first series of The Block in 2003 and The Block - All Stars in 2013, what have you taken from this experience into your own home renovation? So much! Doing The Block is the most full-on crash course you could ever do in renovating and building and we learnt so much. It also helped hone my style and learn what I don’t want to do so when it came time to building and decorating our own home I knew exactly what I wanted. A lot of people said to me when you’ve finished building you’ll want to do it all again so you can change things, but I didn’t feel like that at all because the Block was my practice run! 2. 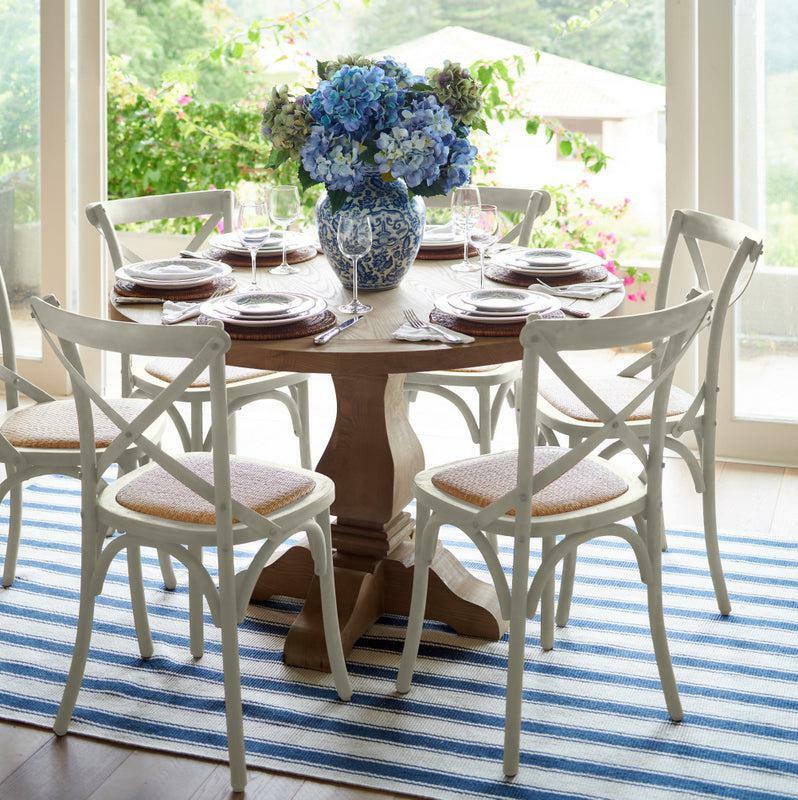 What is is about Hamptons interior style that you love? The relaxed elegance of it. I think it suits our Australian lifestyle so well and I find the colour palette of neutrals and blues really peaceful and timeless. I am not someone that could live in a really modern home with clean lines and minimalist décor, I need warmth, natural textures and plush furnishing. 3. How would you define the colours in a Hamptons home (interior and exterior) and which colours did you use in your own home to create that effortless chic Hamptons feel? The colour palette for a Hamptons home is neutral with a high end coastal influence, so warm whites, creams, linen tones, greys and blues. 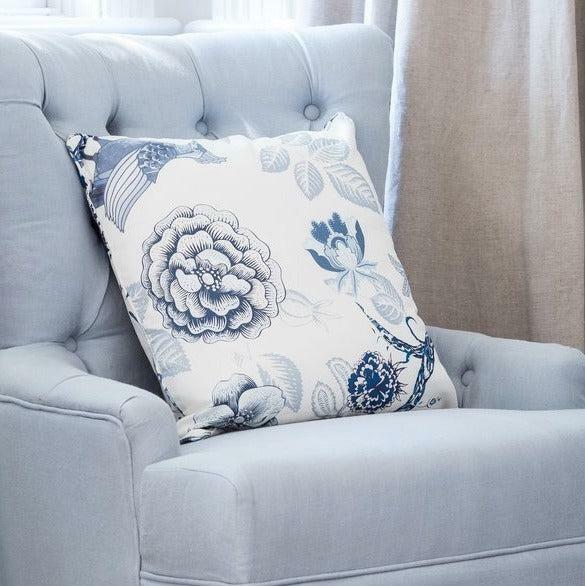 Navy and white is a quintessential Hamptons colour combo and duck egg or turquoise blue can also be used as accent colours. 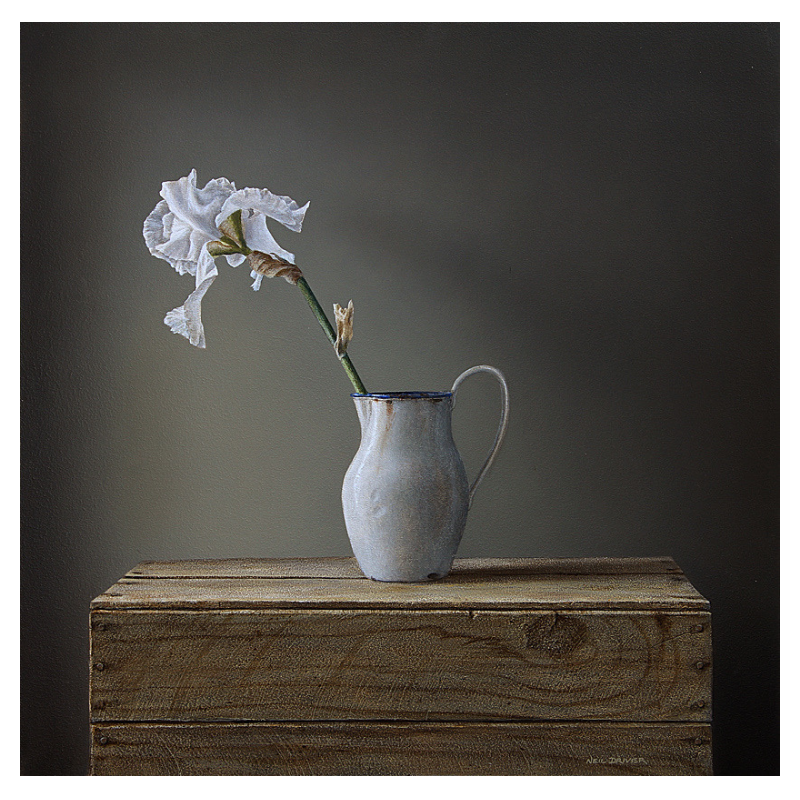 I used Wattyl Chalk Dust on the internal walls and joinery, which is a lovely creamy white. In the bathrooms and the kids rooms I used Dulux Vanilla Quake (double strength in the toilets) and that’s a gorgeous warm grey, I love it. In the study I used Dulux Pacific Line, which is a deep indigo and looks so striking against the crisp Wattyl White trims and doors. I knew I wanted a navy room and doing that in the study was perfect because it gives it a more masculine feel. Pinterest! 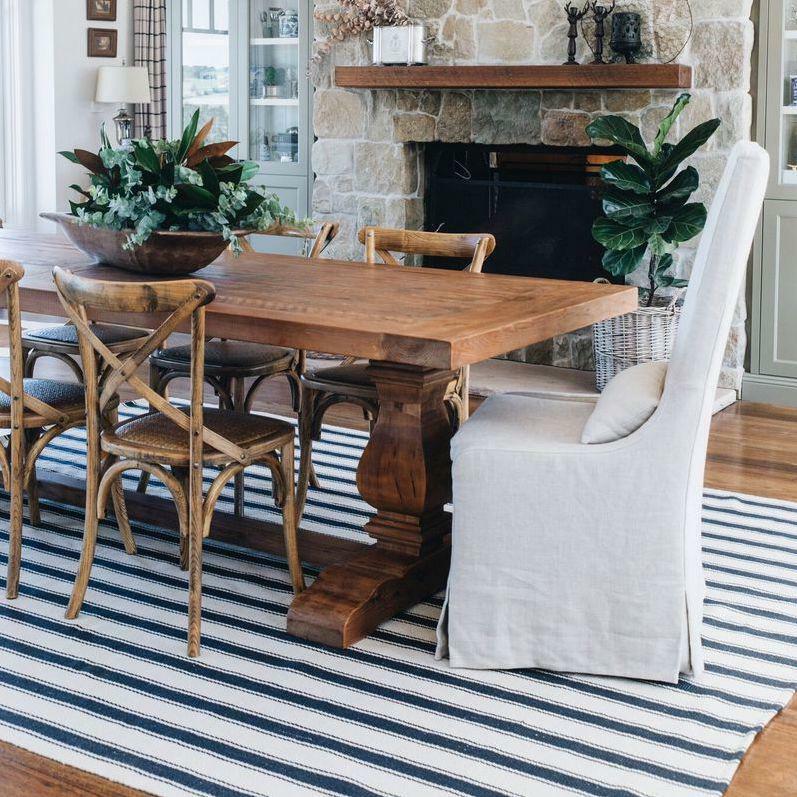 I find the Hamptons look is best represented on Pinterest and when I was creating the look for our home I spent hours pouring over that site and pinning ideas to my boards (https://au.pinterest.com/amitydry/). 5. What other features or finishes have you used in your own home which give it a Hamptons aesthetic? The main classic Hamptons features are shaker cabinetry, marble bench-tops and subway tiles and we have all of them. The thing I was most excited about was having a Hamptons style kitchen and I’m in love with my kitchen! Although I decided to do a Caesarstone bench-top instead of marble because I thought it would be easier to look after with the kids (and it looks exactly the same), so I’m pleased I did that. I did put marble herringbone tiles in our ensuite though, so that was a little indulgence just for us! Another Hamptons feature is wall sconces and it’s hard to find nice ones in Australia so I had a friend bring back some for our bedroom from the US. 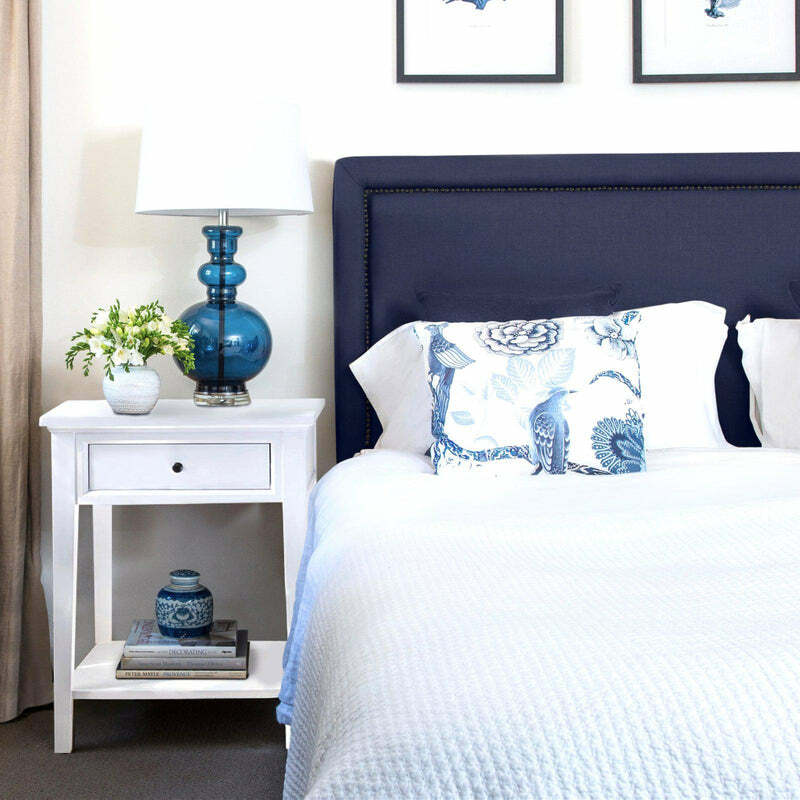 Nothing looks more inviting in a bedroom than a perfectly made bed full of gorgeous cushions and a thick throw rug. Having said that, my bedroom rarly looks like that in our day to day lives! The easiest way to make your house look instantly more chic is to de-clutter it. I know it’s hard with the amount of stuff kids bring home and I am constantly fighting the battle myself but by having storage spots for everything and keeping on top of the clutter your home looks so much better for it. You can also achieve a stylish look with cushions and artwork from cheap stores. These days you can make your house look really on trend and still stick to a budget. 8. You are incredibly busy with your writing, singing, producing, performing, interior design work and mother - how do you manage? I never stop working! I’m always working after the kids have gone to bed and usually have multiple projects on the go so my brain is always full (and sometime feels like it might spill out my ears!) But I really love the work I do so it doesn’t feel like a chore. It is both my work and my passion and I am so much happier when I am creating something. I’m not good at doing nothing! I also have lots of help from my husband, parents and in laws which makes it possible for me to travel and tour, so I am very grateful for that. I just premiered my new cabaret/comedy show ‘39 Forever’ which had an amazing response, with a sell out season in the Adelaide Fringe and great reviews in Melbourne last week. Then in August I am going to London to workshop my musical ‘Mother, Wife and the Complicated Life’ for the West End, which is beyond exciting! So Phil and the kids are coming and we’re going to have 6 weeks in the UK and Europe, which I am still pinching myself about. I am also starting to program a tour of ‘39 Forever’ for next year because these things are planned well in advance. On top of that I am a panelist for the Today Show extra and Nine Chatroom, I write various columns and online articles for brands I work with and sometimes if I have time (which is happening less) I try to fit a design job for a client somewhere amongst that. But I don’t think I’ll be able to do many more on them in the near future because there’s just too much on and my music will always come first. Oh and I also wrote another musical, ‘Famous’ which I am trying to develop and has had some interest from production companies, so that’s bubbling away. The last few years have been incredibly exciting for me career wise so I am just working hard and riding the wave while there’s momentum. When she’s not scouring Pinterest for design inspiration and enjoying her love for interior design, Amity is likely with her family, or working on a creative new endeavor including anything from writing musicals to performing, as well as enjoying her family. My children! And doing charity work so I can give back. I want to say my piano but I have to admit if I lost my iphone I would cry more!